One 18 karat yellow gold and sterling brooch. 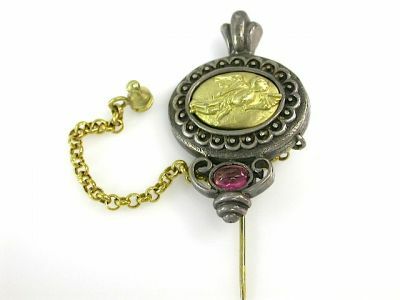 One cabochon pin tourmaline (0.90 carats). The oval silver frame has a scalloped design framing an oval yellow gold winged figure.